MAKE SURE IT STOPS WITH AUTOSTOP! 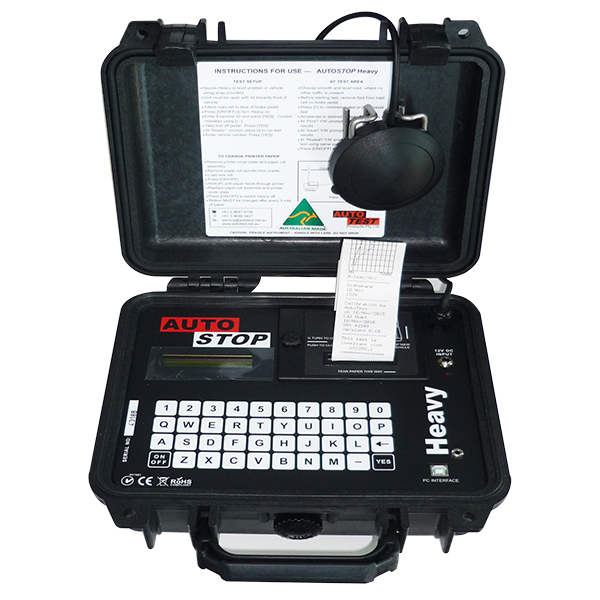 The AutoStop® Heavy Brake Meter is designed to test service and emergency brakes of heavy and slow-moving vehicles, off-road vehicles and even forklifts used in the transport and mining industries. AutoStop® Heavy Explorer Software is an optional add-on specifically designed to extend the capabilities of your AutoStop Heavy Brake Meter to a powerful fleet management and reporting tool. This vehicle database and brake test reporting software assists the mining and heavy vehicle industries in Australia to manage brake test records, and brake test Standards and calculations for their fleets. Read more.